London, a fashionable epicentre, has a rich diversity of arts, ideas and people. It is a vibrant city of global interests and the cosmopolitan hub of culture and the art of living. 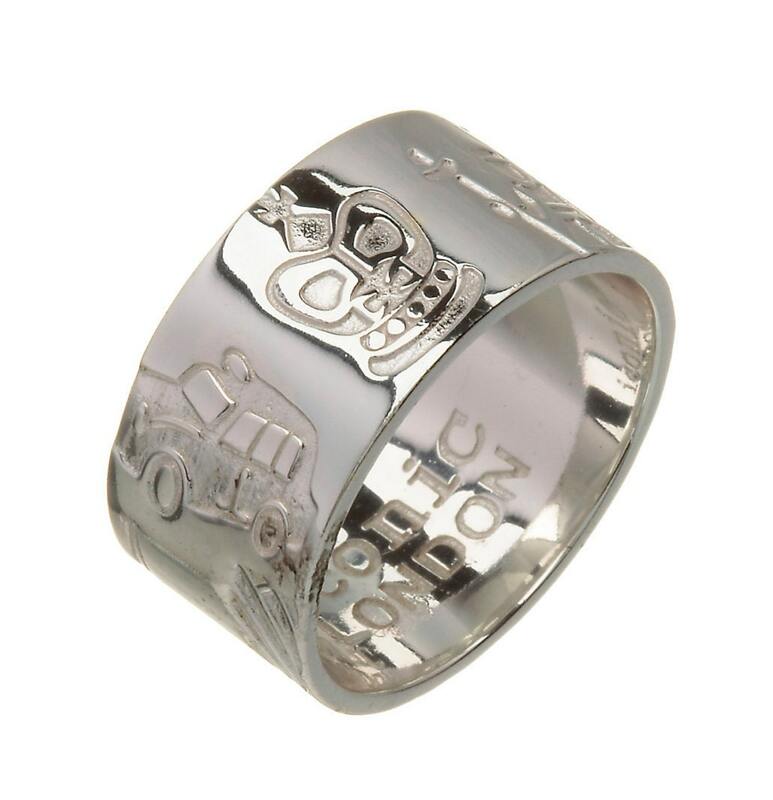 The London ring depicts some of the iconic images of London, such as St Paul's cathedral, the London Eye and the Gerkin building. Each ring comes with a complimentary leaflet describing all the images. 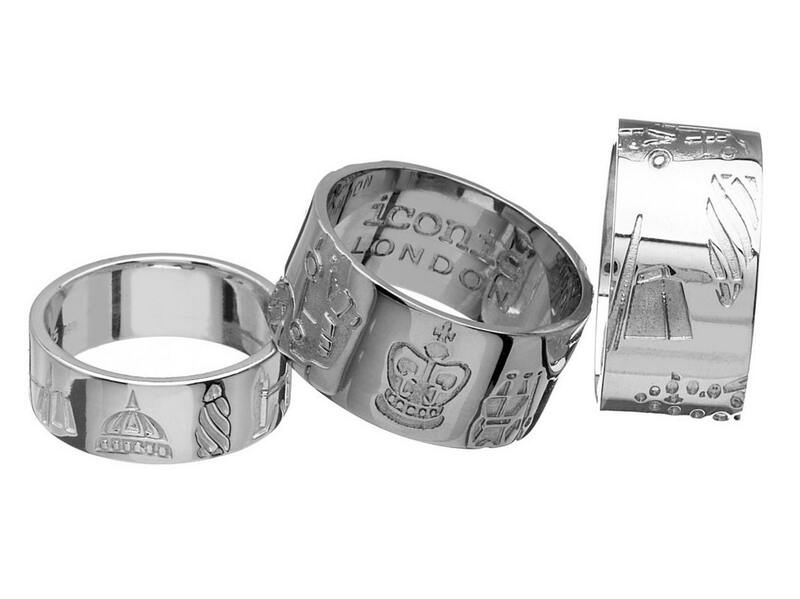 Iconic Jewellery offers a stylish and creative way of showing one's love of London. The collection captures the essence of London for your enjoyment and memories. 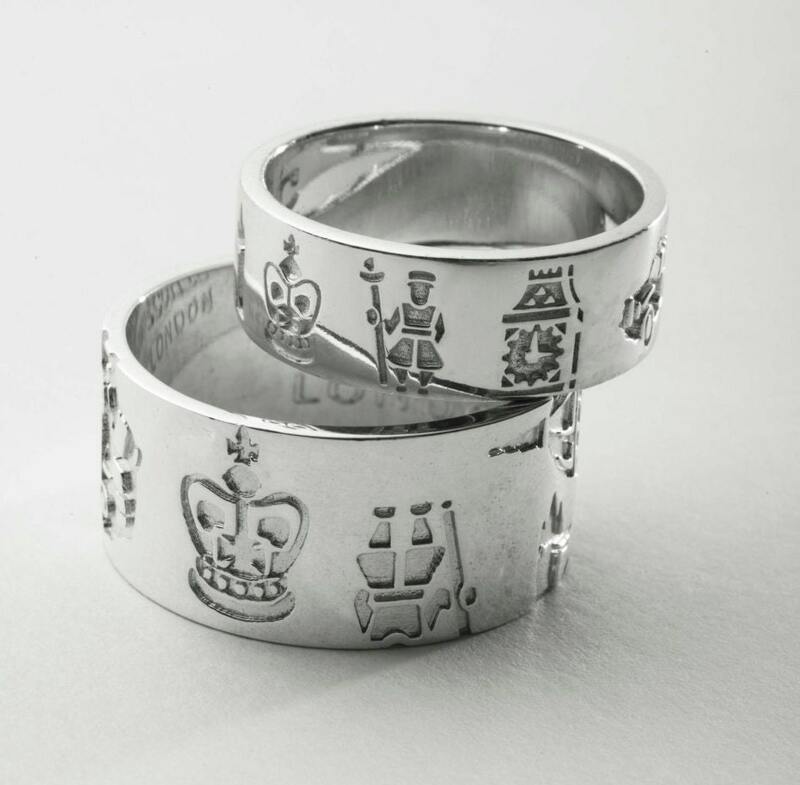 Ring measures 10mm in width and comes gift boxed with a story card explaining each symbol.